Greetings from Bravura Resort! Enjoy the festivities of Raksha bandhan at The Recipes and Bottles 'n' Barrels on 25th August Dinner & 26th August Lunch with your near & dear ones. 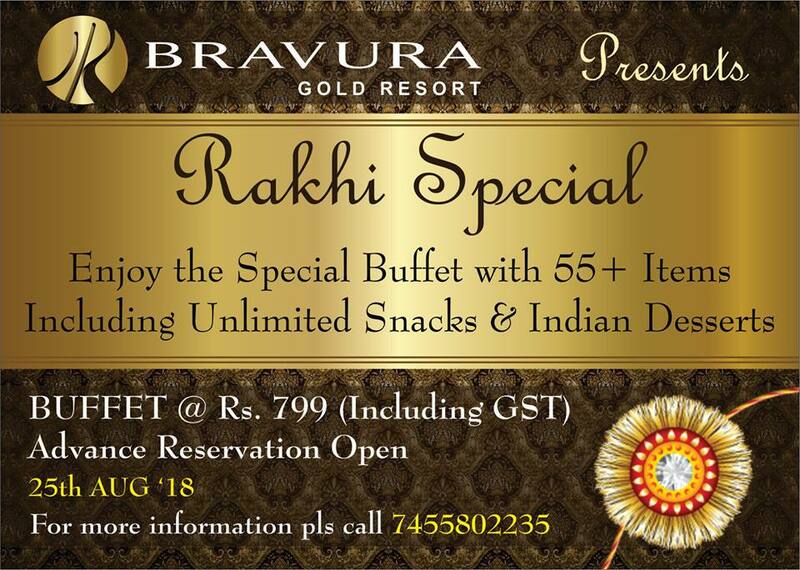 Exotic buffet menu at The Recipes with Unlimited Snacks, Live Counters, Main-Course, Salads & Desserts.